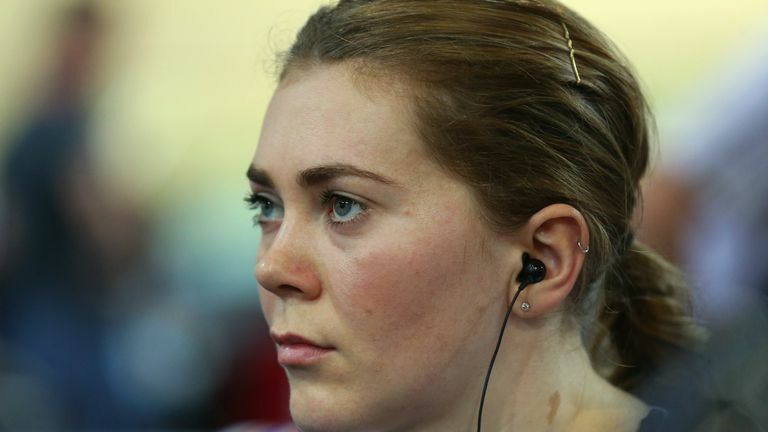 Former Great Britain track sprinter Jess Varnish has lost her employment tribunal against British Cycling and UK Sport. In a short statement, her management team said: "Judgement was received at 1700 today and it has been found that Jess Varnish was neither an employee or a worker of either British Cycling or UK Sport." The statement concluded by saying the 28-year-old, who is due to give birth to her first child this week, and her legal team will digest the 43-page judgement before issuing further comment. Varnish, who was cut from the Great Britain cycling programme in March 2016, had hoped to persuade the tribunal she was effectively employed by the sport's national governing body or the elite funding agency so she could then sue British Cycling for discrimination. After the verdict was delivered, UK Sport issued their own statement. "The verdict provides reassurance that the relationship between UK Sport, National Governing Bodies and athletes is as it has always intended to be, which is to provide the means and support for talented athletes to achieve their dreams of realising success at the Olympic or Paralympic Games", it said. "Whilst this verdict did not find Jessica Varnish to be an employee or worker of UK Sport or British Cycling, we have already taken action to strengthen the duty of care and welfare provided to athletes and are ensuring that avenues for raising any concerns are effective and appropriate. "It also gives us confidence that the structure of the relationship between other National Governing Bodies, their athletes and UK Sport can continue in a similar way but we will reflect on the concerns that were raised through this case when finalising our future strategy for post Tokyo. "We regret for Jessica Varnish, her partner and her family that pursuing this case was considered the best course of action she had to address the concerns she felt she experienced as an athlete on the British Cycling World Class Programme. We hope Jess feels proud of the success she achieved through cycling and we wish her all the very best for the future."